brand new sleeper sofa and loveseat. from your private, secluded balcony. cast a line in and fish for awhile. walkways, a private lake and more! Margaritaville, Senor Frogs, and more! Tour Golf Links just 1/2 mile away! provided for your use FREE OF CHARGE! Two bedrooms and a queen size sleeper sofa - sleeps six total. Master bedroom has a true king bed and 2nd bedroom has 2 twins (couple friendly - can be pushed into 1 king). Full kitchen includes comprehensive, updated kitchenware such as utensils, dishes, cookware, and small appliances. Refrigerator/freezer. Built-in microwave, dishwasher, and range. Unlimited, free local and toll-free calling. CONVENIENT TO CONVENTION CENTER AND MOST OTHER AREA FESTIVALS/EVENTS! Nearby: Palace Theatre, Broadway at the Beach, Barefoot Landing, Medieval Times, Pirate's Voyage, Tanger Outlets, Coastal Grand Mall, Ripley's, Speed Track, Mini-Golf, Alabama Theatre, Carolina Opry, Palace Theatre, Shopping, Dining and More! The stunning private pond and gazebo located on site! The front of the beautifully landscaped building! Newly updated including new floor, paint, and appliances. Fully equipped. Bedroom features 2 twins that can also become 1 king and Sony PS2! 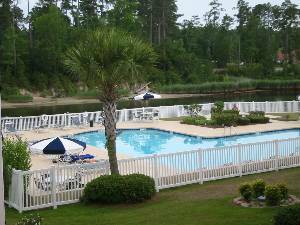 Large pool and hot tub located along the scenic waterway. Heated indoor pool also on-site. 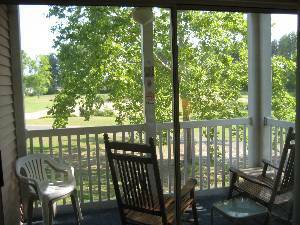 Comfy rockers on the private balcony overlooking the golf course. 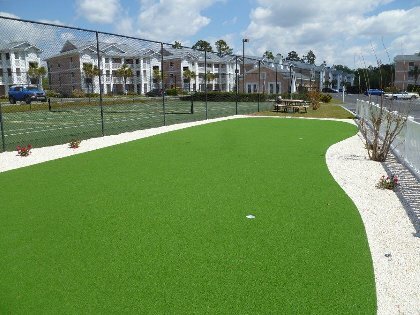 Brand new putting green and renovated tennis courts. The condo was very clean, spacious, included all the necessary amenities, and was in a great location. The neighborhood was safe and pretty and the condo was very close to nearby food and shopping. Only minutes away from the beach! Great condo for a relaxing vacation. 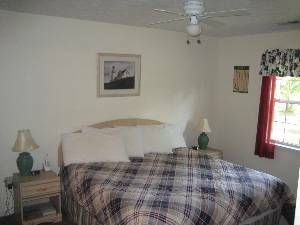 Condo is wonderful, clean, and has EVERYTHING you may need if you need rest and a place to relax. Tom and Doray went out of their way to make visitors comfortable. We really enjoyed your condo. Excellent location (turned out it was a mile away from my sister in law), very clean and well equipped. We will be staying there again on our next trip to Myrtle Beach. We really enjoyed our stay. The condo was extremely accomodating and very well kept.I personally enjoyed how everything seemed to have its place. We also found the location to be perfect for going to the beach, activities and shopping. We did get to enjoy the pool and the hot tub(one of my husands favoriate parts). We did have a wonderful vacation. Thanks! The condo was roomy, accomodating and pleasuable! Awesome board games for great family fun! 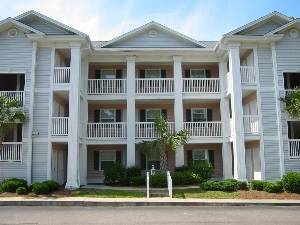 Our place was very clean, comfortable and easily accessible to all areas of Myrtle Beach! A great place to stay that enhances any MB vacation! We loved the stay. There is tons to do in the area and found that driving to the north side of Myrtle Beach (about 15 min) brought us to the cleanest and quietest beaches. The condo was perfect and we had no problems. The king bed in the master bedroom is actually two beds placed side by side, but this was no problem. Homeowner Response: Thanks for your feedback! Everyone has a different "favorite" place along the beach and we appreciate your suggestion. Another popular choice is at the Pier 14 area and also the state parks along the beach. The beds are indeed "swing king" style so that they may accomodate a king for couples or 2 twins for our golf groups and singles. We're so glad that you enjoyed your stay and our condo, thanks again! We had a wonderful time. The condo was spacious and clean. Our son enjoyed the videos there. We forgot something there and they were most kind to send it back to us immediately. We will be back soon. Thanks again for your hospitality. What a great place! Having vacationed in Myrtle Beach many times, this place was great. The unit was very well equipped and taken care of. It is easy to see that owners take great pride in providing an enjoyable vacation experience. I apologize for not commenting sooner, but such is life when you return from a great vacation. Tom and Doray, thanks for everything. We look forward to staying again! WOW! !...we were impressed with the condo and with Tom & Doray! The condo is immaculate, nicely decorated, and well equipped. Anything you can think of that you might need is there! We feel as though Tom & Doray are good friends of ours even though we have never met. They called to see if there was anything we needed our first night there and kept in contact via e-mail. You couldn't ask for better hosts. We made reservations to return next year before our stay ended!! I've rented several other fairway condos in this area over the years, and Tom and Doray's place tops them all by a mile!! Organized and very clean, this unit reflects its owners' desire to make the vacation experience pleasant and carefree. The "little" things that are available - an assortment of novels, board games, videos, area maps and information, show that Tom and Doray pay attention to the details. From start to finish, the rental process was precise and hassle free. This was the first time I dealt with these owners, but is far from the last!!! Tom and Doray - you're tops!! Thanks for everything. Absolutely wonderful! Clean, great location and just might be better equiped than my own place! Will definitely stay again and again. Already have friends and family asking for details. Tom & Doray are wonderful & thoughtful "hosts". The condo was the most equipped and cleanest condo that we have ever stayed in. The qwners are wonderful people to deal with. 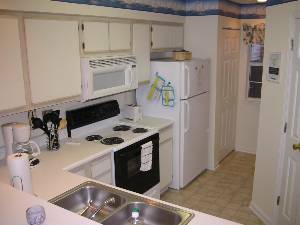 The condo is very close to shopping and eateriesand etc. A most enjoyable time was had for a whole month. We could not have asked for a cleaner, more equipped condo for our vacation stay. Tom and Doray were by far the most considerate and thoughtful owners I have ever rented from. They were sure to check that everything was satisfactory with the condo and even that we arrived there without any problems. I would certainly recommend this condo to anyone...it's a great price for an even greater place! Thanks so much!! Great condo! Clean and comfortable, plenty of room for the whole family. If you are looking for a clean, cozy, comfortable place to stay...this is it. It was obvious to us that the owners made every effort to ensure our vacation was as enjoyable as possible. Tom and Doray...Thanks again for everything!! We had a wonderful time at your condo. It is very well equiped, conveniently located and comfortable. We enjoyed evenings playing the board or card games that are provided and my granddaughter enjoyed the videos. We'd recommend it to anyone. Thank you for your hospitality. May 16, 2006 Reviewer: Richard & Dolores From: Denville, N.J.
Tom and Doray, we just spent a month at your condo and enjoyed every minute. We found the condo to be very well equipped, well organized and perfectly located for our purpose, playing golf. We played 19 different courses which were all an easy drive. With all the new appliances available, we decided to eat in most of the time. We never needed anything additional. The condo was very roomy and comfortable and we loved the screened in porch. We hope to be able to spend another month at your condo next year. Thanks for helping make our vacation very enjoyable. Hello Tom and Doray. My parents, my brother and I stayed in your condo for 2 weeks in June and July and we had the best time ever. The condo is in a very nice location and you can have fun and be relaxed at the same time. We are looking forward to coming back next year and will be contacting you soon. Thanks again for making our vacation a great one. Great condo, great location and had great weather! Shopped til we dropped at Coastal Carolina Mall & Tanger Outlets. Loved Broadway at the Beach in the evenings!...Thanks for everything! Your place was clean and very well equipped. We loved sitting on the pier and we wished we had more time for the pool/hot tub and tennis. Maybe next time. Thank you for calling and checking on us. Visit our online guestbook at http://www.rentors.org/guestbook.cfm?pid=65626 to see what others have said abour our condo! Great location - convenient to all the golf courses both north and south. We will stay there again next year. We had a lovely time in Myrtle Beach. The condo was very comfortable, clean and cozy. The weather was great. We saw so many attractions - Brookgreen Gardens, Alligator Adventure. We traveled to Charleston and Savannah. We spent some time on the beach. It was much better than we expected. this was an absolutley perfect experience for or vacation.the condo was just far enough away from the hustle of beachside,so we had every luxury and pease of mind of a safe enviroment for our children.THANK YOU!! We had a great time at your place. It was a very cozy condo. Our 3 year old daughter had a great time playing the games and Lite Brite. We look forward to staying here again in the future. Highly recommend staying here to anyone close to beach and secure location. This was truly a wonderful, quiet, secure vacation experience. The accommodations were first class and Tom & Doray were a joy to deal with. We would highly recommend this condo rental to anyone looking for an outstanding stress free getaway. We hope to be able to take advantage of their hospitality again in the near future. This was a very positive experience for our family. 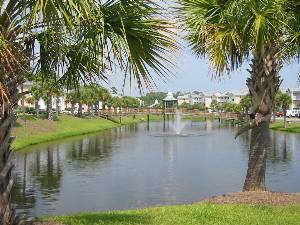 The condo is GREAT (great location for beach, golf, attractions, etc. and it is perfect for families).The condo itself and the landscaping is beautiful and the indoor/outdoor pools are great for the ones who dont like the beach. i would definately reccomend this particular condo with anyone (the owners are especially nice also). Thanks !! Vacation spent here was more than I expected! The condo was well appointed and cozy. It was enjoyable having morning tea watching the sun rise over the golf course and relaxing evening drinks on the balcony. So close to all major attractions and fabulous outlet shopping yet so peaceful and serene. Can't wait to get back! Tom and Doray are gracious hosts and more than willing to help with any questions. They offer great suggestions and advice for novices to the area. I can't wait to get back! "We had an excellent time! The condo was great, comfortable, and most of all secure. We enjoyed the pool and the peace and quiet. We had a blast at Medieval Times and the Aquarium. Thank you so much. We must do it again"
"We had a great visit here in Myrtle Beach. The condo was lovely & comfortable. We loved the screened porch. Enjoyed a great game of golf at the golf course here. Weather was beautiful. Hope to come here again"
Same Great Rates since 2008! Policies: Discounts available to police/fire/EMS/military personnel with proper ID. 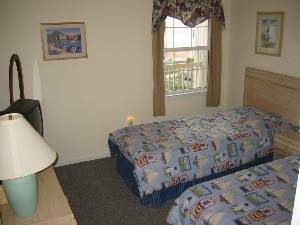 3 night minimum stay required May-Aug. Additional monthly rentals are available, please email or call for more information. No keys will be issued with an outstanding balance due. YOU MUST BE 25+ TO STAY IN THIS PROPERTY (excluding minors accompanied by a parent or LEGAL gaurdian and married couples). Cleaning serivce provided and is required (additional fee). Occupancy not to exceed 6. Discounts for extended stays, frequent renters, out of season stays, and early bookings available on select basis - email for more information. Deposit: Half of rental rate plus security deposit due upon booking; remaining fees and rental rate due 45 days prior to check-in. Payments accepted include money orders, checks, cash, and credit cards through PayPal. Cancellations and Refunds: Provided with rental agreement and available upon request.